IPBES in Denmark together with SEGES and ICROFS/Univ. 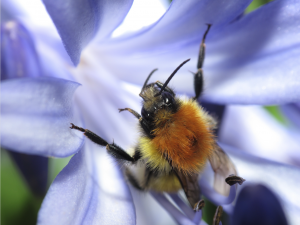 of Copenhagen invites you to participate in the first Danish pollinator symposium. The symposium will present current international and national research and evidence-based practical solutions for the maintainence, conservation and use of wild and domesticated pollinators with focus on Denmark and Northern Europe. The symposium will be relevant for managers, decision makers, scientistst and student, in addition to conservationists, NGOs, land-owners and bee-keepers. Find more information about the symposium, and register here.